Environmentally friendly, 110g non-woven, coated water resistant polypropylene two colour conference bag, with contrasting black and white trims. 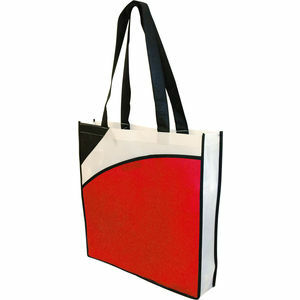 Long handled with large front pocket and Velcro closure. Suitable for spot colour print only.